As with any new romance, the early days of a relationship can seem electric, impulsive, and exciting. You want to do basically anything together, and almost everything your partner does will amaze you that little bit more. However, after the ‘honeymoon period,’ it may seem as though that initial spark is fading. That’s only natural, but it isn’t a reason to become complacent with your partner. 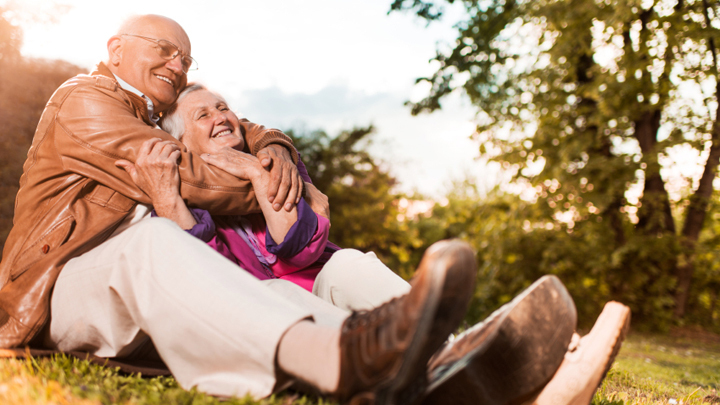 With the right choices—and with conscious decision-making—your relationship can continue to feel special ten, thirty, or fifty years down the line. You may have conflicting schedules, you may be short on time, and you may be low on patience. Believe it or not, though, there are ways to continue ‘dating’ each other years or even decades into your relationship. No, this doesn’t mean you need a regular ‘date night,’ because life doesn’t always allow for that. What it does mean is that you should dedicate time to one another whenever possible. Go shopping together. Meet up on your lunch break. Leave the kids with your parents on a Saturday morning and go for a walk. Whatever it takes, take brief pauses from your schedules to ensure you’re getting face time. Just have an honest-to-goodness conversation about irrelevant things and the romance will resurface pretty quickly! It’s fair to say that you know your partner extremely well, so you likely know what it takes to make them laugh. Stay in touch with their happiness by lightening the mood at least once per day, or even just do something to make them smile. As the old adage goes, laughter is often the best medicine. As mentioned earlier, it can be difficult to find time to properly ‘date’ your partner when you’re so far into your relationship. If you’re struggling to achieve step one of this guide, be sure to remind your partner that you value all the things they’ve done for you in the past—even if it’s just something along the lines of dinners you enjoyed together in the old days. This will make your partner feel good about themselves and remind them that your relationship has been built on a strong foundation from the start. Of course, overdoing praise can make it feel cheap. Still, you should remind your partner as often as possible what things you like about them, even if it’s just that they look great in a particular shirt or if their eyes look extra pretty at a particular moment. Families can be difficult. Friends can be temperamental. These are facts of life and are especially true when they are not your own friends or family. Yes, your partner’s uncle might be a bit strange, and their best friend might be a drunken liability. However, your partner likely sees past their flaws, and it will make them happy if you can too. Be personable with your partner’s social circles. Ask how they are doing. Smile when you talk to them. Listen when they talk to you. If your partner feels as though you and her parents can co-mingle without any hassle, then that makes their life a great deal easier and should make them feel closer to you overall. You clearly want the best for your partner, but sometimes it’s difficult to know when you’re doing more harm than good. Your partner is an intelligent person, so they are probably aware of some of the solutions to their problems. If they come home and need to rant, let them rant; make a mental note of a solution to recommend later, but for the time being, let them know they are being listened to. It can make the world of difference. This isn’t a call to commit PDA in the middle of the street, but it is worth noting that touching your loved one releases oxytocin, or the ‘happy hormone.’ Touch their cheek. Touch their arm. Brief little brushes against their skin can improve your partner’s mood and show them that you love them. One again, it is worth stating that you shouldn’t be complacent in your relationship. Yes, spending time on your own hobbies is good for your mental health, as is hanging out in your own social circles. But even if you’re married with kids, self-improvement is a great way to impress them. Getting better at things and learning new facts will keep your partner on their toes, constantly surprised by your willingness to apply yourself to unfamiliar things. Previous What Types Of Relationship Are You In? Next Would You Like To Meet Your Soulmate?